It's summertime again, and you know what that means? Yep you guessed it, Summer ‘16 is here. Since Salesforce's newest release just went live last weekend, I thought I'd highlight a couple of things that have us over here at Stratus Hub especially excited. Now, it's really hard to pick and choose from the hundreds of features nestled in that glorious 400 page Release Notes document Salesforce put together for us. But here are a few that I think are worth noting that will make a big impact for our customers. If you’re tracking a date in Salesforce, good chance it’s important. Now you can create a calendar for any specific date. Now you can have a calendar based on closed dates. Or when assets expire. Or key project dates, order fulfilment deadlines...the list goes on and on. You will now be able to send your Salesforce Email correspondence from either Gmail or Outlook. Items sent from Salesforce will show up in your email client’s sent folder. This should greatly improve deliverability and open rates. Your admin has to configure this and assign the necessary permission set. And users can manage their email configuration settings from their My Settings page. Note: Workflow emails and alerts are still sent via Salesforce. And while we’re on the topic of Outlook, Salesforce for Outlook has a new name Lightning for Outlook. They’ve updated the design to optimize information display while at the same time reducing the amount of space it takes up in Outlook. You can now relate outlook events to Salesforce records, search for Salesforce records in Outlook, and it’s now Login and setup is even easier for your reps to utilize this great tool in their Outlook Client. There is an email theme with this release. Now when you look at an email activity it actually looks like an email you’d normally see in your email client rather than a task record. 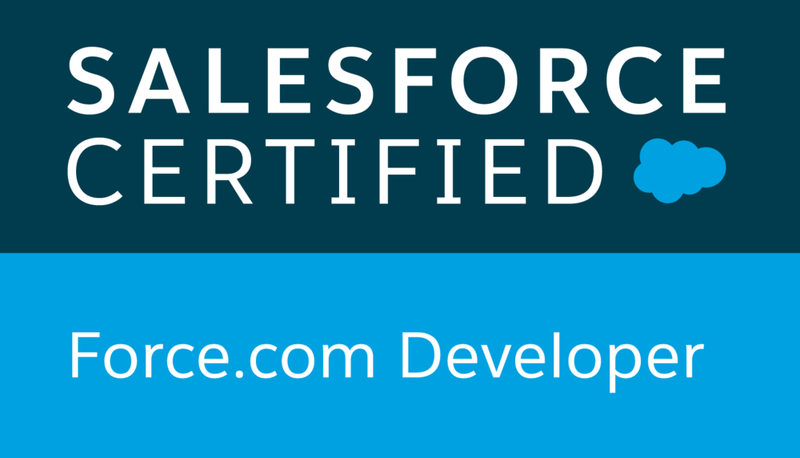 Even better, email becomes a standard object in Salesforce. What does that mean exactly? It means you can relate emails to multiple contacts, leads, users, and to a single account, opportunity, case, or campaign. You can build custom fields, create page layouts, workflows, and triggers to programmatically handle Email communication in and out of your org. Pretty powerful stuff! This will be enabled for most organizations by default, the exception being those that are already using email-to-case functionality. If you are the latter, this will need to be enabled manually. There are a lot of times where you have a contact in your Salesforce org that has relationships with other accounts that aren’t their employer. They could be consultants, account reps, agents or lawyers. Whatever the case may be the only choice you had was either create lookup fields for these special relationships or a custom object. Which seemed kind of silly and a little bit redundant since you’d think that’s what the contact related list was for on Accounts. Well now Salesforce is allowing a Contact to be associated with Multiple Accounts. You can denote a Role for each contact and whether or not this is their “Direct” Account or not. Essentially, doing away with the contact roles list view on Accounts which I always felt was a little redundant. This feature will have to be configured. You will also need to decide if you want activities associated to an Account to roll-up to it’s Direct Account by default. This may seem trivial but to avid Service Cloud users this one is big. When setting up Support Settings you need to indicate who the Automated Case User is. So when an automated process occurs it’s their username that is stamped as the user who instigated the change. Trouble with that is, it makes it really hard to tell if it was actually the user who took a particular action or an automated process. This new feature allows the Automated Case User to be labeled as “System” so users can now tell the difference between the two. Technically these aren’t new. They were beta released in Spring ‘16, but Salesforce has gone to great lengths to improve their functionality, and they are now available for General Release for everyone to enjoy. For those who missed these last time, a Global picklist allows you to create a singular list of picklist values and reference them in multiple objects. That way if you have a picklist on Leads, that also exists on Accounts, you don’t need to manage two lists you can just manage one Global Picklist and point those lists at the global picklist, essentially avoiding the need to maintain multiple sets of picklist values. So what else can you do? Track where all global picklists are being used. Deactivate values you no longer need but want to keep for historical purposes, or easily delete values if you don’t need them at all. Do you have time to read 400 pages of Release Notes?